We could not do the work we do without so many people! The following organizations, individuals and project partners support our work – with sponsorship, financial donations, time, volunteers, and most of all, words of encouragement. Thank you so much! Please do your best to support them in return – they do so much for us! Cottages by the Sea – The most amazing place for us to stay – close to the turtle beach, very comfy and homey. Year after year, Cottages provides us a cozy home at Turtle Camp – and this great Benedict family run business has been helping turtles and the biologists who study them for over 35 years! We also want to thank the staff at Cottages, who take the best care of us and always have a smile and a story to share. Columbia Sportswear – Each season, Columbia sends us the best gear to keep us comfortable on long and hot summer nights looking for turtles. Columbia provides the best gear for fieldwork! 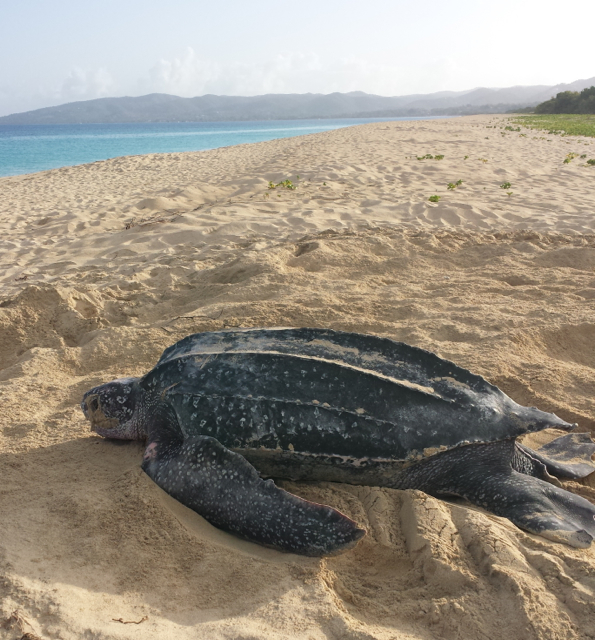 National Save the Sea Turtle Foundation – We got an awesome grant this year from National Save the Sea Turtle Foundation that helped us support our volunteer research assistants with travel and lodging. National Save the Sea Turtle Foundation were major supporters for the volunteer research assistants in 2018! For the 2018 season, we’d like to thank the following individuals and organizations for their support! Sandy Point National Wildlife Refuge, The Ocean Foundation, the NOAA Southwest Fisheries Science Center’s Marine Turtle Genetics Program, Donna Boles, Lorna Larsen, Peter and Jill White, Tim Mauney and family, Molly Murray, Mike McKay and Amy Semple, Dave and Debbie Bucholtz, Mike Stiell and Joasia Pyrz, Louisa Porter, Sally Robertson, Kirsten Harper and Tristan Higgins, Caretta Nature Tours (Andy Brown), Avril Amato, the Scarfo family, Amy Frey and the Knoell family, Jodi Plagge Knoell, the LaCasella family, Carrie Althouse, the Korsun family, the Huenefeld family, Gail Joice, Barbara Mogel, Penny Mabie, Angela Stoops, Joe and Paula Quintiliani, Tiffany Farrell, Ellen McCormack-Ament, Winona State University, Donna Boles, Emily and Wes Hogarth, Amy Adkins, Sandi Schultz, Kyle and Dana, Bejai Higgins and all the guests at Cottages by the Sea for their enthusiasm and attendance at Turtle Talks on Tuesdays! Also the lovely guests at Cottages by the Sea are always very generous with groceries for our team – we get some delicious leftover treats and good food at the end of many family vacations! Always appreciated! Our volunteers include: Donna Boles, Romina Ramos, Dante Trivett, Nina and Havis Tatum, Alyssa Scarfo, Makayla Kelso, Kaitlyn Bauer, Niki Desjardin, Vicki Pease, Margeaux Wayne, Nina Mauney, Carmen Candal, Emma Dlutkowski, Dana DeSousa, Ayaka Asada, Lily Richards, Ellie and Kenny Schatz, Tara Repoli and family, Tracy Cole, Paul Peters, Julia Baldini, Sue and Jeff Koontz, Sharon Early, Jim and Ann Mulder, Corina Marks, Ryan Flegal, Sara and Lucky Symons, Dan Huston, Joe Salomone, and Shamoy Bideau.. and the list continues to grow!